You are looking southwest down Nicollet Mall from the intersection with 6th Street. City Center is on the far right and Gaviidae Common is on the left. 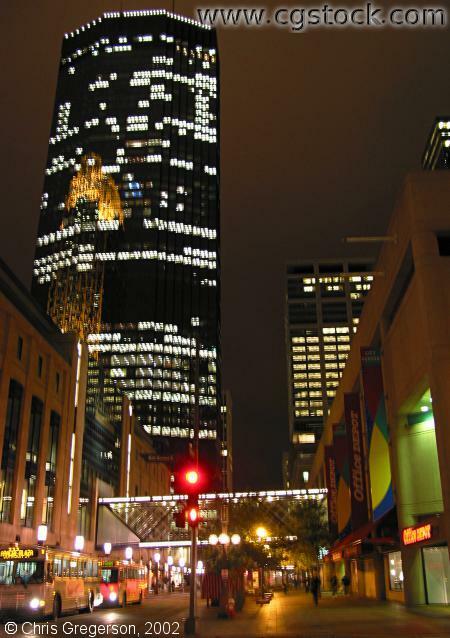 The IDS Tower is in the left background.